For their capacity as a transformative leaders in their respective schools, the 27 school heads and department heads of secondary schools are now ready to discharge their capability building task for the professional development of their teachers when they get back to their own schools. 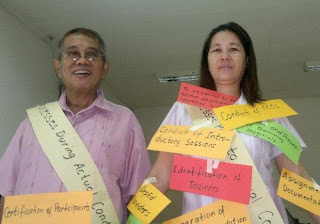 They are now well equipped to implement what they've acquired from their 4-day series of training/workshop at the conference hall of the division office of La Carlota City under the able, competent set of trainers. In her message, OIC-Schools Division Superintendent Portia M. Mallorca of La Carlota City was confident in challenging them to do their role as effective transformative school principals in providing opportunities for their teachers to improve their output in their academic performance of their pupils. In the simple closing program of our last day of the said training conducted by the Division Training Team particularly on training and development system, I was tasked to give my impression in behalf of my fellow school heads. With these hands, I am here. But Who am I? 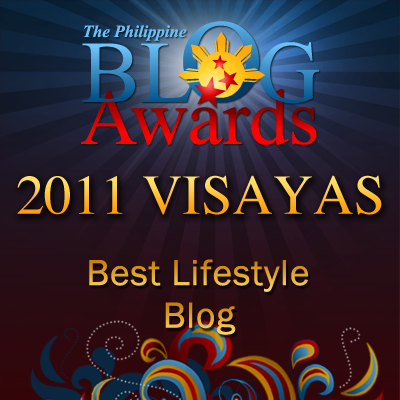 Well to identify myself, I may borrow Edward Everett Hale's poem that says: "I am only one. But still I am one. I cannot do everything but I can do something. And because I cannot do everything, I will not refuse to do something." And that's me. My impression is categorized into three: Testimony, Challenges, and Acknowledgment. You and I have realized that Training and Development (T&D) System is composed of sub-systems that are interrelated with each other. They work hand-in-hand for professionalism of everyone in the realm of education. We have felt that we have the best opportunity to properly address the professional needs of our teachers as we identified them in our workshop. We have believed that if we adapt and apply effectively what we gained from this 4-day training we could ensure the quality capability building with best practice and outcome in the workplace and in our respective school station when we go back. Therefore, we confirm and commit for ourselves that we could stand firmly with confidence that we could clearly see the vision of T&D for "the professional development of all with a structure of a collaborative and continuous learning, nurtured by a transformative leadership in the achievement of educational goals." Arranguez and MC Sheila Hilado at the background. Dr. Leo sichon in his last session with us concluded that we are "capacitated" to effectively do our respective roles, duties and responsibilities as school heads. 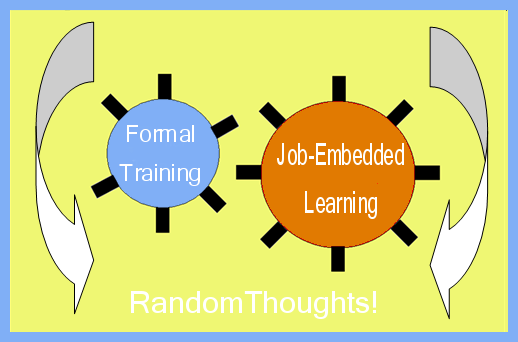 In our analyses of the latest topic we touched, we noticed that formal training is symbolized by a wheel turning counter-clockwise and job-embedded learning is another wheel that turns clockwise. They turn together to make T&D system operational. Since we are now "capacitated", let's keep these wheels on turning and keep it on turning by doing our respective roles without reservation. We couldn't get away with shortcomings, misgivings. In everything, I know there is an opposition. We've an energized program. Activities were challenging, thought-provoking, doing something "search ye and ye shall find". Media presentation was effective. Hands-out was a bit limited. Foods were good. Time constrained. Anyway the over-all rating of the training was above-average. "Are you willing to transfer this? To implement this? Our OIC-schools division superintendent Portia M. Mallorca unequivocally threw this challenge to the principals on the effective transfer of learning to the respective teachers when they conduct their echo training for them in a calendared schedule. In this connection, she elaborated on how JEL (job-embedded learning) should be implemented through an acronym SPDIOS (school Project Demand Interest Options Solutions). On the other hand, Sonia Oplas, principal of La Carlota North Elementary School accepted Ma'm Mallorca's challenge in behalf of the rest of the school principal for they are "properly guided" as what they learned from the training. And with this JEL, she continued everything for teachers' professional development would be put to action. Meanwhile we do acknowledge the efforts of the division Training and Development Team which is composed of Education Program Supervisors like Lelanie Castillo, Gloria Tionsay, Dr. Zenaida Gahaton, Dr. Salvacion Española, and Dr. Leo sichon. 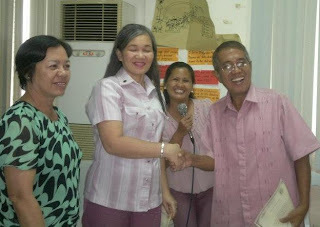 And also Dr. Rosario R. Arranguez, district supervisor of district II for her moral support and technical assistance given to her principals. "What else are we looking for? We've a good training facilatators here in our division. 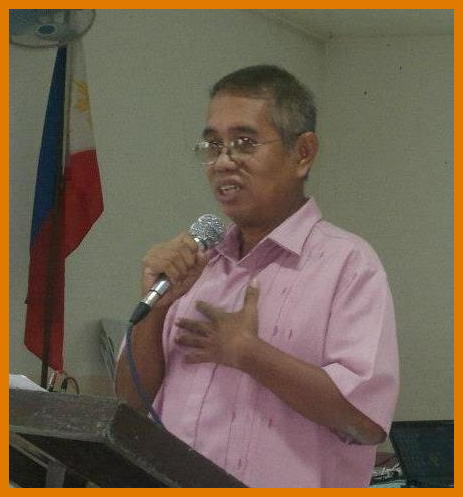 No need to export other trainers," Ma'm Mallorca confidently quipped. Congratulations for a job well done! And congratulations too to the trainees. Mr. Petronilo Bartolo of Nagasi Elementary School offered the opening prayer and Mrs. Sheila A. Atilano of Ara-al Elementary School was the master of ceremony. I agree, even here in the US, every 1st Monday of the month is scheduled for Professional Development Training. It does help in address the needs of the teachers. it is just proper to equip our teachers for they are the very reason why we have successful professionals and working force for the country. Yahweh bless.